Back in the day when comics were referred to as "funnies," they were done so because of their pervasiveness in newspapers. Those strips were also considered comics in some sense of the word and Betty Boop was one of their most famous characters Revisiting favorites is always fun to do and Titan Comics plan to do just that with The Definitive Betty Boop: The Classic Comic Strip Collection, due to hit stores September 2015. Created in the '30s by animation legend Max Fleischer, Betty Boop is set for a reboot soon in a new feature-length film, set to be produced by Simon Cowell's Syco production company and Animal Logic. Since making her public debut 84 years ago in the 1930 cartoon Dizzy Dishes (part of the lauded Talkartoon series from Fleischer Studios and Paramount Pictures), the character has gone on to become a household brand name and a huge licensed property hit. The character's first appearance in comics was in a newspaper strip drawn by Bud Counihan, distributed by King Features Syndicate from 1934 to 1937. Titan's volume will collect them together for the first time. The collection also comes with an authoritative introduction and the history of Betty Boop. The Definitive Betty Boop: The Classic Comic Strip Collection is due to hit stores September 2015 and will be available to read on the iPad, iPhone, Web, Android and Kindle Fire, exclusively through the comiXology app and comiXology.com. Full press release below. Titan Comics announced today that they will release a brand-new newspaper comic strip collection of Betty Boop. The Definitive Betty Boop: The Classic Comic Strip Collection is due to hit stores September 2015. 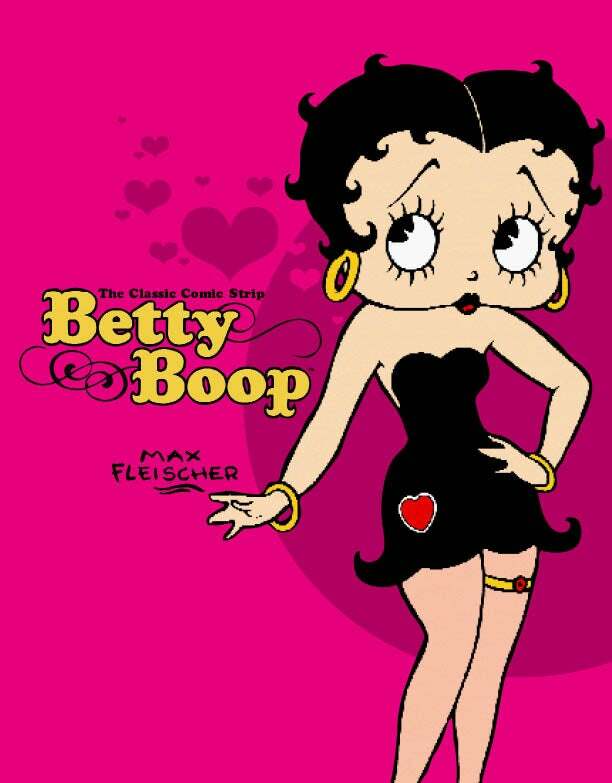 Created in the '30s by animation legend Max Fleischer, Betty Boop is set for a reboot soon in a new feature-length film, set to be produced by Simon Cowell's Syco production company and Animal Logic. Since making her public debut 84 years ago in the 1930 cartoon Dizzy Dishes (part of the lauded Talkartoon series from Fleischer Studios and Paramount Pictures), the character has gone on to become a household brand name and a huge licensed property hit. The character's first appearance in comics was in a newspaper strip drawn by Bud Counihan, distributed by King Features Syndicate from 1934 to 1937. Titan's volume will collect them together for the first time. The collection also comes with an authoritative introduction and the history of Betty Boop. The Definitive Betty Boop: The Classic Comic Strip Collection is due to hit stores September 2015 and will be available to read on the iPad, iPhone, Web, Android and Kindle Fire, exclusively through the comiXology app and comiXology.com.